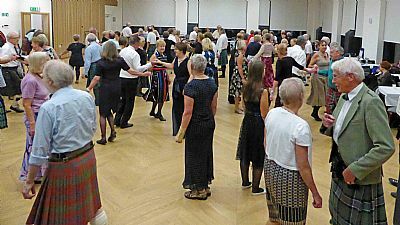 dancing with RSCDS Glasgow Branch for many years. 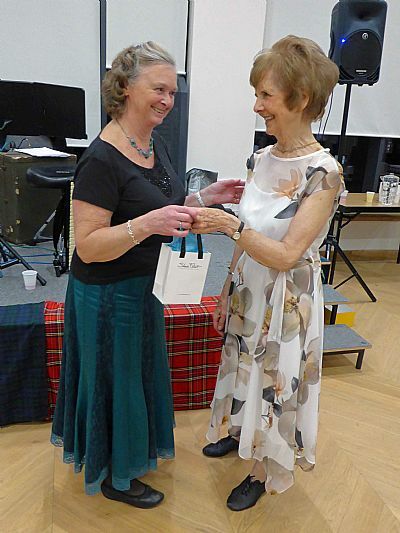 She is a past Chair of Glasgow Branch and past Chair of RSCDS Society. Currently, she is Honoray President of RSCDS Glasgow Branch. Ruth is moving to Kenilworth. 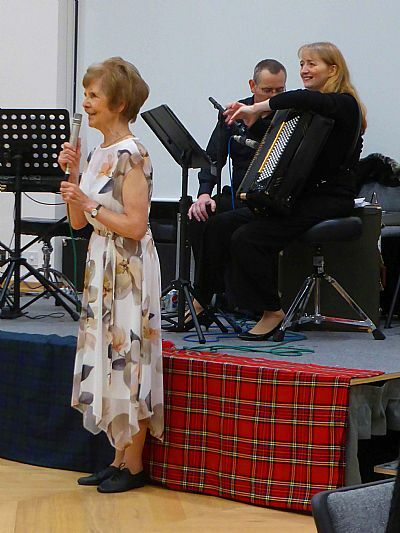 This dance, or 'Ruth's party' as it has come to be called, was an open invitation to all her dancing friends, to the new Bearsden Hall. 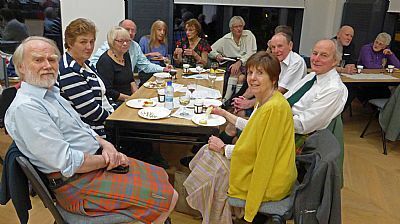 It was a lovely relaxed and informal evening with a 'pot-luck' supper supplied by attendees. We all thank Ruth for the event and wish her well in the future.